Among the people who saw the effects of an earthquake as big as the Chilean quake of Feb. 27 was none other than Charles Darwin. 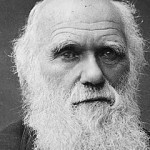 Darwin visited central Chile shortly after a quake of approximate magnitude 8.5 struck in 1835. He was there as part of his voyage on the HMS Beagle and noted how the quake had reshaped the land. Over the years, his observations have helped seismologists anticipate another magnitude-8 quake on this section of fault off central Chile, where the Nazca tectonic plate dives beneath the West Coast of South America, according to an article in Sciencemag.com. Darwin, in March of 1835, described the Chilean earthquake in a letter to his sister, Caroline. “We are now on our road from Concepcion,” he wrote. “The papers will have told you about the great Earthquake of the 20th of February. I suppose it certainly is the worst ever experienced in Chili (sic). It is no use attempting to describe the ruins—it is the most awful spectacle I ever beheld. The town of Concepcion is now nothing more than piles and lines of bricks, tiles and timbers—it is absolutely true there is not one house left habitable; some little hovels built of sticks and reeds in the outskirts of the town have not been shaken down and these now are hired by the richest people. “The force of the shock must have been immense, the ground is traversed by rents, the solid rocks are shivered, solid buttresses 6-10 feet thick are broken into fragments like so much biscuit. How fortunate it happened at the time of day when many are out of their houses and all active: if the town had been over thrown in the night, very few would have escaped to tell the tale. “We were at Valdivia at the time. The shock there was considered very violent, but did no damage owing to the houses being built of wood. I am very glad we happened to call at Concepcion so shortly afterwards: it is one of the three most interesting spectacles I have beheld since leaving England—A Fuegian Savage—Tropical Vegetation–and the ruins of Concepcion. How two 8-magnitude quakes happened in the same spot is simple: A fault segment that has ruptured in a large quake in the past will—once enough strain has again accumulated—likely fail again in a similar-size earthquake. “This area is very well known as a seismic gap,” says geophysicist Christophe Vigny of the Ecole Normale Supérieure in Paris. The Nazca Plate is named after the Nazca region of southern Peru. The ongoing subduction along the Peru-Chile Trench of the Nazca Plate under the South American Plate is largely responsible for creating the Andes mountain range. The Nazca Plate is bound to the west to the Pacific Plate and to the south with the Antarctic Plate. Nazca is a relatively young plate both in terms of age of rocks and existence as independent plate. A triple junction, the so-called Chile Triple Junction, occurs on the seafloor of the Pacific Ocean off Taitao and Tres Montes Peninsula at the southern coast of Chile. Here three tectonic plates meet: the Nazca Plate, the South American Plate, and the Antarctic Plate. The absolute motion of the Nazca Plate has been calibrated at 3.7 centimeters a year and it is moving east. It is among the fastest absolute motion of any tectonic plate in the world. The Nazca Plate is diving under the South American plate, and as it does, it, it continues to build the Andes.